Talk title: The successful rise of English wine. John is a self-appointed English Wine ambassador with a flair for wine writing, photography and communication. 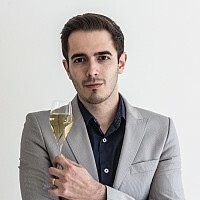 Founding Great British Wine two years ago, he has a large focussed network of followers and producers giving him unique insights into the emerging, exciting English wine and English sparkling industry. He is also a regular contributor for #UKWineHour.